I hold a M.S. 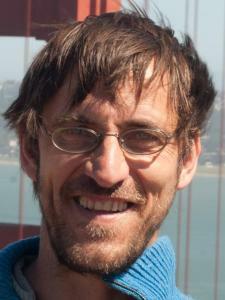 in Mathematics and an interdisciplinary Ph.D. in Mathematics, Computer Science, and Physics. Over time I have been working at colleges and universities in Germany, in France, and in the U.S. In addition I worked for a decade at research labs in Germany and in the U.S. (LBNL) and at a risk modeling company. Since 2010 I dedicate my professional attention full time to teaching mainly math and computer science as a tutor and lecturer. I currently teach at college and tutor middle, high school, college students, and professionals. I am proficient in teaching math at any level including specialized programs available in the Bay Area (Firecracker, Berkeley Math Circle, AoPS) and beyond. I also help with preparing middle and high school students for math competitions. I further help learning or practicing German. I raised my children bilingual and I stayed in close contact to Germany. I regularly help preparing for the math portion of the GMAT. I help at all levels of math including the test preparation for the quantitative part of the GRE. I had several GRE students and they all exceeded their initial expectations in the math portion. "Excellent tutor improved my GRE score!" - Megan G. Oakland, CA Andreas was a huge help to me in preparing for my GRE. We met several times and his combination of patience and humor helped to keep me on track despite my admittedly deep-seated math phobia. I hadn't taken a math class in over 10 years and he was able to refresh my memory of important concepts and equations. He even lent me a GRE prep book to use in conjunction with the one I had purchased. With his assistance I was able to develop a successful test day strategy and my performance on the test was better than I thought was possible (and much better than my timed pretests). I'm confident his tutelage gained me the score I need for acceptance to UC Berkeley. I can't recommend him highly enough. I worked for several years as a Software Engineer at Lawrence Berkeley National Laboratory (LBNL) using C/C++ for projects using high volume databases for distributed storage systems. I have been working in computer science related fields in research (Academia & labs) and industry. My PhD thesis is in numerical models for high performance computers. I also worked for several years for a company modeling hazards based on data driven computational models. I used Fortran for many years in high performance computing for climate research models and non linear finite element systems. I am a native German speaker and I raised two children bilingual in the U.S. I help students at any level of German, I assist or perform translations and proofread German documents. For beginner to intermediate level, I use language programs as used in Germany to teach German as second language. I worked for many years professionally with statistics and next to precalculus and calculus it is my most tutored topic. Statistics doesn't require advanced math classes but it requires a good understanding how to translate word problems into a mathematical form and vice versa. Most classes cover descriptive and inferential statistics using extensively the normal distribution, which also plays with the Student t-distribution a key role in hypothesis testing. I tutor statistics multiple times a week. "Excellent tutor." - Ricardo from San Mateo, CA Andreas has been an excellent tutor for my son. He is very patient and allows my son to understand even the toughest items of probabilities and statistics. I recommend him for future tutoring. Thanks. Algebra 1 is the first math class that introduces equations with variables and how to determine solutions for equations with first one and later with two variables. In Algebra 1 we also study graphical methods in order to visualize functions as straight lines or parabolas. Further we learn about factorization and the solutions of quadratic equations. Seeing many advanced students who struggle with algebra 1 concepts makes me feel good about my algebra 1 students because I help them to learn it properly from the beginning. It helps for many upcoming years. "Great Tutor" - Margaret P. Oakland, CA Andreas is a fabulous tutor. He has assisted our 8th grade child in knowledge, understanding the concepts, and our child's grade has risen to an "A" from "C". He is a very patient and effective tutor, and builds confidence in his student. Algebra 2 introduces independent and dependent variables and how their solution can be determined by for linear relationships for two or three variables. Algebra 2 also gives an overview of more complex mathematical functions like basic trigonometric functions, power functions, logarithms, and exponential functions. I tutor Algebra 2 almost daily and based on my tutoring experience in more advanced topics I know very well which areas of Algebra 2 are important in further math classes. Calculus is my most tutored subject. I tutor high school, college, and university students on a daily basis in AP Calculus classes and in single and multivariable calculus courses at colleges and universities. I also teach calculus to individuals outside of any class. I supervised small groups with aspiring math teachers learning calculus and I taught for several years my own university courses that built heavily on calculus. More than one third of my tutored hours covers calculus. "Great Tutor" - Alan K. Palo Alto, CA Andreas was an excellent tutor for our son in Calculus this year at Stanford. He would never have done as well as he did without the talents and effort of Andreas. If you want the best, Andreas is your man! I tutor geometry almost daily to multiple students attending regular and honors classes at private and public schools in the East Bay. Precalculus is the gate to calculus and provides a comprehensive view of the behavior of polynomials, rational functions, and trigonometric functions. I tutor high school, college, and university students on an almost daily basis in Precalculus. I emphasize the understanding because it will not only help in getting better grades but also serves structural learning. "Excellent Tutor" - Alexandra K. San Francisco, CA Andreas was more than willing to help and he not only answered my questions but clued me in on other connections and hints between problems. He helped me to thoroughly understand concepts and catch up in Precalculus. I would definitely recommend his tutoring services to anyone seeking a patient and concise math tutor. I worked more than 10 years in research using different forms of differential equations covering stiff ODEs and multidimensional equations in Computational Fluid Dynamics applications. I tutor on a regular basis university students in calculus and differential equations. I have a B.Sc. in Economics/Operations Research and I studied optimization, graph theory and applied Operations Research methodology to research and modeling. My Finite Math knowledge is based on studying Operations Research as part of my Economics degree. My following math studies helped me to understand Finite Math on a more rigorous level. I regularly tutor Finite Math topics as part of other classes like Discrete Math, Linear Algebra, and Probability. Linear Algebra investigates the linear relationship between multiple variables. On one side it is for many students a first encounter with mathematical abstraction and on the other side it is a topic that occurs in many scientific applications like in numerical or economical models. At different universities I taught my own courses that built on linear algebra. I also taught groups with aspiring teachers in linear algebra. "Great Tutor" - Elizabeth from Moraga, CA Andreas is a very thorough and patient tutor. After tutoring with Andreas, my test scores went up by two whole letter grades in college-level Linear Algebra, which led to an overall B grade in the class. Andreas is excellent and I highly recommend his services. I learned formal logic as part of my mathematical education and I additionally studied the use of logic as part of set theory and computer science. Logic supports the understanding of basics and limitations of theories like math, sciences, and philosophy. I tutor any level of math including the math portion of the CBEST test which I took myself successfully. I also help with test strategies to master this part specifically for candidates who haven't studied math for some time. I don't tutor the language parts. Andreas tutored my son Josh in college level Business statistics last semester. It was a tough course for Josh but Andreas was extremely patient with him and willing to spend whatever time was needed to deepen Josh’s understanding of the subject matter. Andreas was extremely flexible with us and understanding (Josh was late a couple of times and not always ready to 'dive in' at the appointed time). Andreas made himself available on relatively short notice and was willing to stay for extra time when needed. I highly recommend Andreas as a math tutor. My daughter was in need of a tutor at the last minute to help her with a High School Math test. Luckily Andreas was available. He was patient with her. As she worked through the problems, he worked along side her and showed her shortcuts, where she is making simple errors, explained the math concepts/theories and explained how/why her answers were off and how to correct the mistakes. She left the session with a smile on her face and a lot of confidence going into the test. Thank you, Andreas. We'll definitely be using your services again. Andreas is very helpful and does a great job explaining concepts. He understand the concepts and is patient when explaining them. He taught me a lot efficiently. I will have a same tutor next time for math and also economic hw. Speedy, and I could easy to understand even though one math question was difficult. This is better than having a free tutor because they don't work hard so much at a college or somewhere else. If exam or some important quizzes coming soon, I recommend to take this tutor. You can save time. Thank you. He was a great tutor and did a fantastic job of breaking down the basic functions of excel. Left session with much better understanding of how it could be applied to work. Andreas has been tutoring our daughter in Calculus for several months. He readily identified areas where she needed reinforcement (e.g., Trigonometry), which he explained was part of the underlying foundation in doing well and understanding Calculus 1A. He really helps the student understand math at a deeper, more fundamental level in helping them achieve success. Thank you Andreas for being so patient and dedicated in helping our daughter learn in such a supportive and rewarding way. Andreas was able to explain concepts to me in a way that I could understand and was very helpful with problem solving. Andreas was helpful with discussing the foundations of linear programming and applying it to the homework assignment. I now have a better understanding of the process needed to tackle the assignment. Andreas is Patient and personable. He's a great tutor who will take his time to explain, even re-explain concepts.